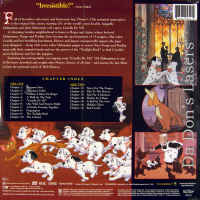 101 Dalmatians 1961 - 79 min. 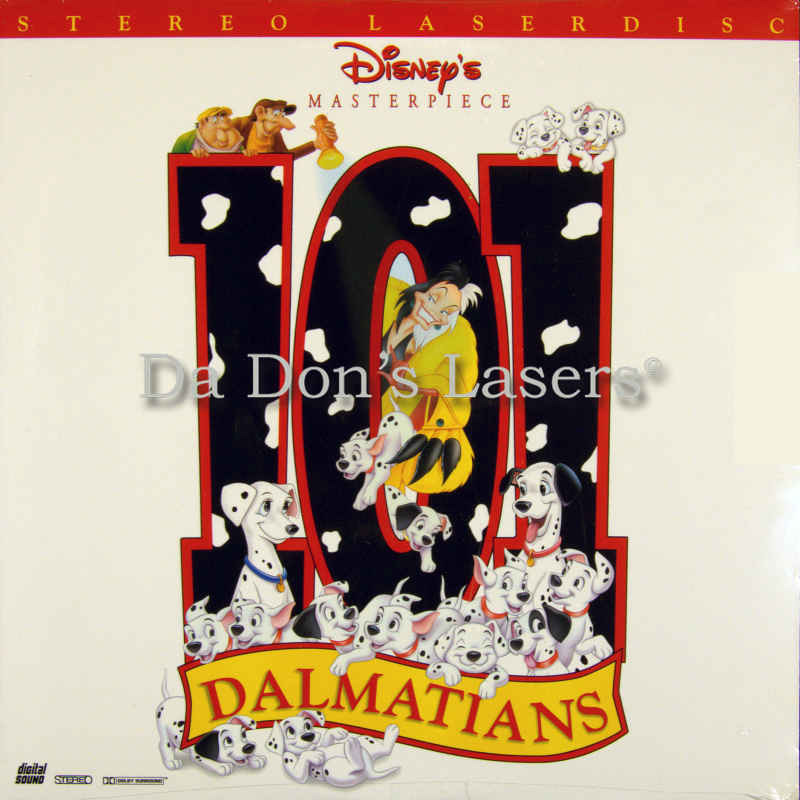 - Color Genre: Animation Rated G Country: USA LaserDisc Movie Storyline: When the wicked Cruella de Vil and her henchmen kidnap Dalmatian puppies for their cherished spotted fur, it is up to the puppies' parents, Pongo and Perdita, and some brave farm animals, to free the caged canines. Though 101 DALMATIANS has fewer songs than many of its animated brethren, the essential musical number "Cruella de Vil" is as much fun as any 10 tracks. 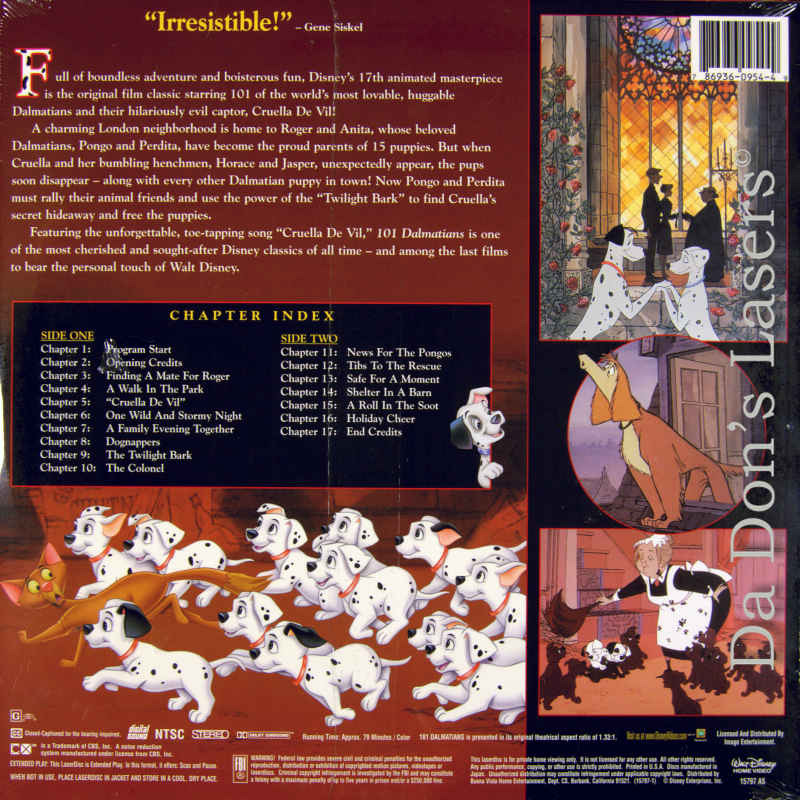 Based on the book by Dodie Smith, this Walt Disney animated classic spawned the 1996 live-action remake, as well as a sequel called 101 DALMATIANS II: PATCH'S LONDON ADVENTURE.